1 NEHGS NEXUS: New England Across the United States, 1999, Vol. 16, p. 116, New England Historic Genealogical Society (Online Database). 2 thePeerage.com: A Genealogical Survey of the Peerage of Britain as Well as the Royal Families of Europe, (accessed 12/28/2012). 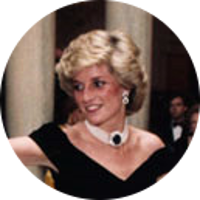 3 Evans, Richard K., The Ancestry of Diana, Princess of Wales , Boston: New England Historic Genealogical Society (2007), 34. 4 Roberts, Gary Boyd, Notable Kin, Volume 2 , Santa Clarita, California: Carl Boyer, 3rd (1999), 218-219. 5 Wikipedia, "William Ponsonby, 1st Baron Ponsonby", (accessed 12/28/2012).